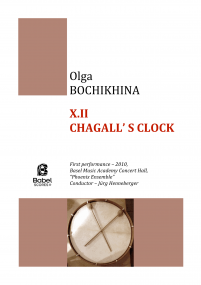 As a composer Olga Bochikhina started her education in 2000 in P.I.Tchaikovsky Moscow State conservatory in class of famous Russian composer Prof. Vladimir Tarnopolsky. During her studies she won the first composer award at the I All-Russian competition for the best composition for Orgel (II prize, 2001). In 2005, at the III International P.I.Jurgenson competition of young composers she was also awarded the first prize for the composition «Tactile instruments» for large ensemble. 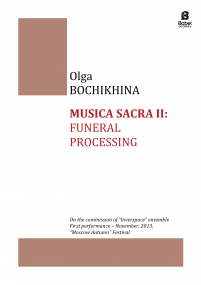 During the postgraduate education Olga took interest in area of electro-acoustical composition. She’s got the Swiss Government Scholarship to study in Basel (Musik Akademie der stadt Basel / Hochshule für Musik) in the Electronic Studio for 2009-2011 school years. She had finished the Specialized Master Program in Composition (compositional class of Prof. Ph.D. Erik Oña and theory class of Prof. Dr. Jacob Ullmann). 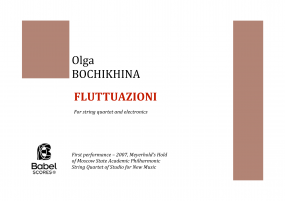 Olga took part in workshops «Young composers meetings - 2004» in Apeldoorn (Holland, 2004) and participated the International Ensemble- and Composers- Academy for Contemporary Music «Impuls 2009» (Graz, Austria, 2009). The composition «Cadenza to Mozart’s concerto» for violin and chamber orchestra was written in 2006, on a commission of violinist David Frühwirth (Germany) and Maestro Valery Gergiev. It was premiered in the new Concert Hall of the Mariinsky Theatre «Mariinsky-3» in December 2006. 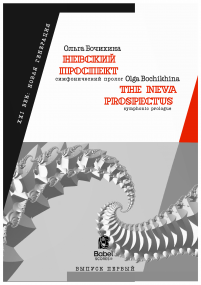 Two years later as a sequel of working with Maestro Gergiev the symphonic prologue to theatrical action «The Neva prospectus» was performed on the above –mentioned concert ground. The performance was announced within the framework of the festival cycle «New Horizons» (Saint-Petersburg, 2008). 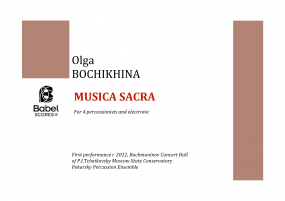 Works of Olga Bochikhina were also performed at various international and russian contemporary music festivals as well as «6. Weimarer Frühjahrstage für zeitgenössische Musik» (Weimar, 2005), «The Moscow autumn» (Moscow, 2005-2009), «The Moscow forum» (2007-2010), Schleswig-Holstein Musik Festival (2008), “Young Euro Classic” (Berlin, 2009), “World New Music Days” (Sweden, 2009), Frau Musika Nova (Cologne, 2009), International Summer Courses for New Music in Darmstadt (2010), “Manca festival” (Nice, 2010), “Schein-Polyphonie 2011” (Switzerland) in a collaboration with Schola Cantorum Basiliensis, “Europe through the eyes of Russians. Russia through the eyes of Europeans” (Moscow, 2011). Among performances of her works are Mariinsky Orchestra, Y.F.Svetlanov State Academic Symphonic Orchestra, ensemble «Studio For New Music», «de ereprijs» orchestra (Netherlands), «Russian Philharmonic» orchestra, “Cikada string quartet” (Sweden), “Türmchen Ensemble” (Germany), “Phoenix ensemble” (Switzerland) etc. Initiative creative association «Sound Plasticity», she took part in many projects organized by «Sound Plasticity». 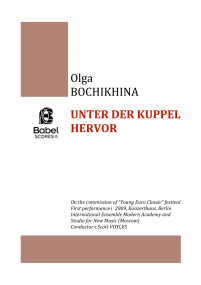 In 2011 in collaboration with Swiss contemporary duo “Ums ’n Jip” she initiated “The Russia project” - concert program with special written pieces of 6 Russian composers from 3 cities. The project was broadly presented in Russia and Switzerland.